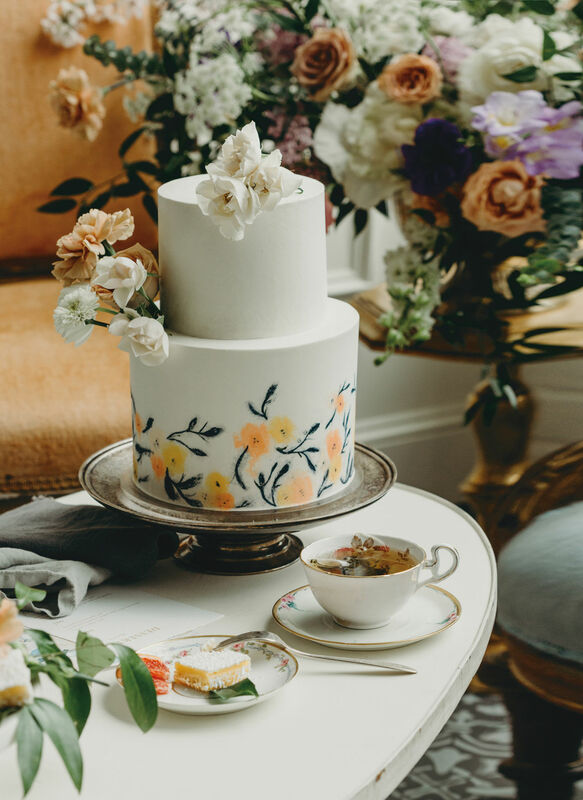 Creating wedding cakes is something Cat Sewell of Sewell Sweets in Newberg, Oregon, sees as the perfect marriage of art, food, and people—three things she’s clearly passionate about. 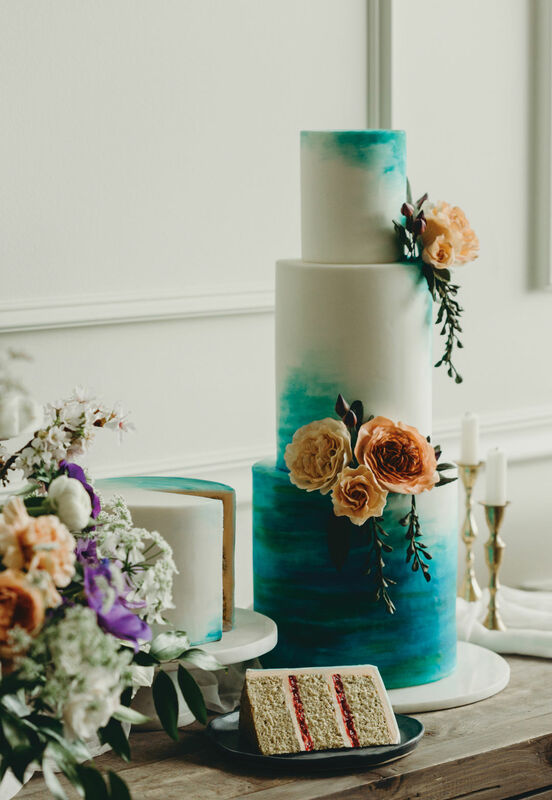 “I get to see couples celebrate their love on the biggest day of their lives thus far,” she says, “while getting tasked with the incredibly fun job of bringing their personalities and their love story to life through sugar!” Here, she draws inspiration from Claude Monet’s Water Lilies series, using watercolor brushes, sponges, and bits of cellophane to apply homemade edible watercolors, before adorning each tier with the sugar flowers she’s become known for. “Sugar flowers are a true labor of love,” she says, with each one taking several hours to create. The results taste as good as they look—under the rose ganache and scratch-made sugar paste sit raspberry fruit compote, vanilla bean buttercream, and layers of matcha green tea cake. Beloved for their velvety- smooth buttercream creations, Dream Cakes individually handcrafts each confection (including vegan and gluten- free options) out of their small storefront in Northeast Portland. “We love being innovative in buttercream designs,” says Johannah Zuniga, who together with Megan Anderson owns the bakery. 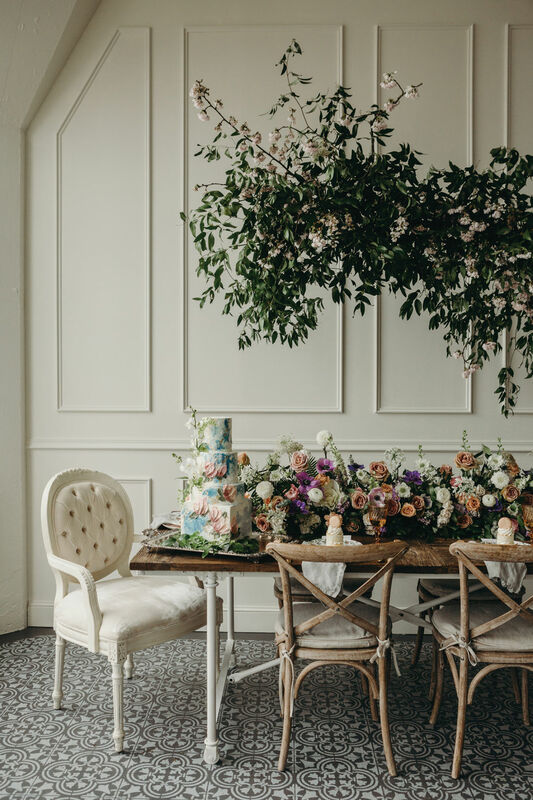 Whimsical, hand-painted blooms and branches adorn this two-tier beauty in one of the shop’s most popular combinations—dark chocolate cake with homemade salted buttercream and Italian meringue buttercream. 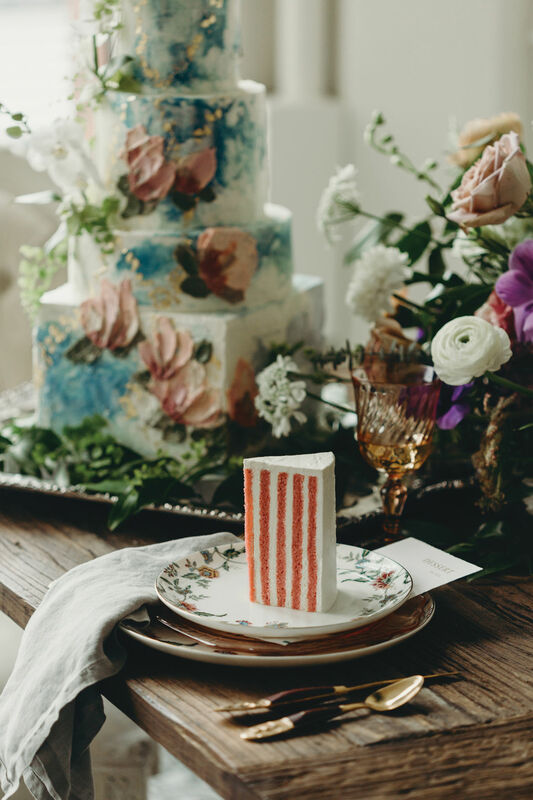 With a fanciful design both outside and in, this towering beauty from Lux Sucre in Wilsonville, Oregon, contrasts vertical layers of red velvet cake with a decadent cream cheese buttercream that’s hand-painted with textured florals and watercolor accents and finished with flecks of gold leaf. But that’s just the main cake—for guests needing an extra sugar fix, individual two-tier sponge cakes piped with ribbons of buttercream and topped with a raspberry macaron adorn each place setting. 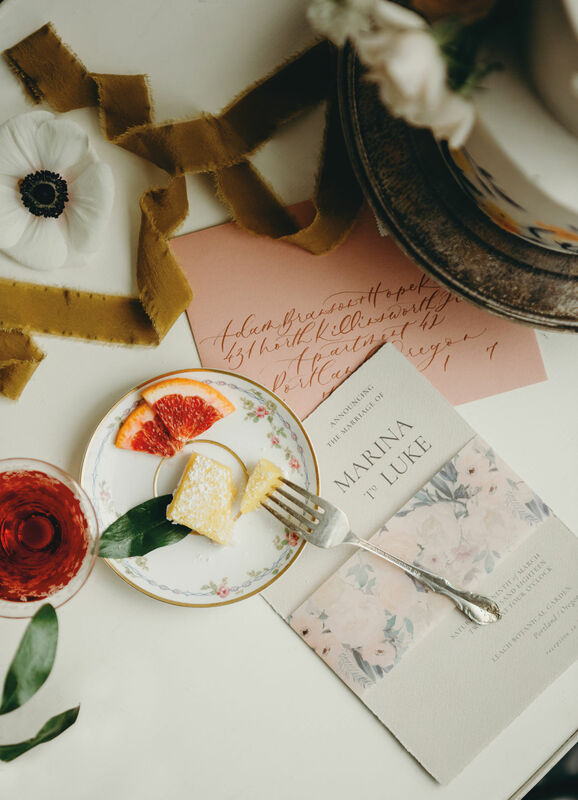 Set the mood for romance with an enchanting paper suite from Camilia Dias of Diasmade stationery and calligraphy. 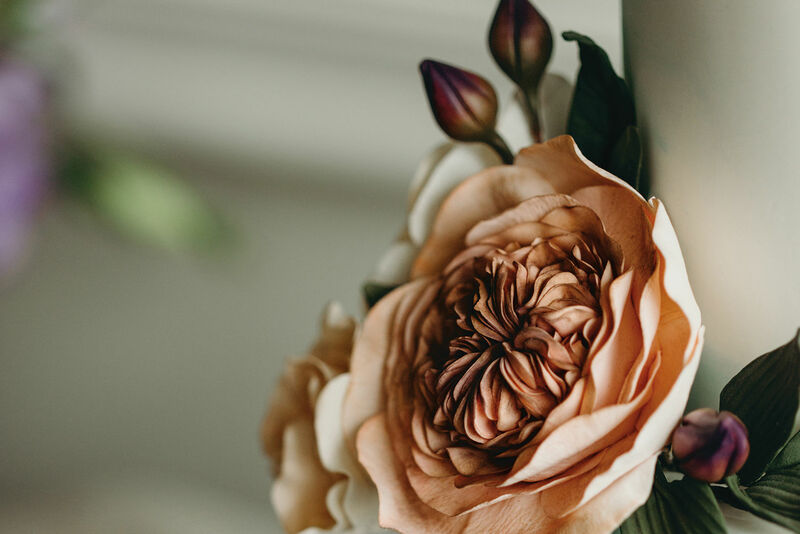 Dias printed her own floral illustrations onto velum before wrapping the taupe invitation and sealing it all up in a peachy envelope artfully hand- addressed to each recipient. Though she initially intended to operate Tendue as a flex work space for creatives like herself, owner Danielle Firle (she also runs a Goop-approved clandestine dinner club called Secret Supper) quickly realized the venue held much more potential. So she made the intimate space—housed discreetly on the second floor of a Southeast Portland art gallery/coffee shop/office building—available to host small showers, parties, and receptions.